THE SPECIALISTS IN HOUSE PAINTING! Picasso Painting is the leading professional residential house painting company in Perth, Western Australia. As we have been painting in WA for 30 years, Picasso Painting strives for nothing less than perfection. Our company is based on the principal that our customers' needs are of the utmost importance and to ensure your painting is of the highest standard. Our entire team is committed to meeting those needs to deliver exactly what you, the client requires. Because we deliver the highest quality painting in Perth a high percentage of our business is from returning clients and referrals. We pride ourselves in offering a prompt professional painting service to each and every one of our clients. Working closely with you the customer from the initial quotation stage all the way through to job completion. We ensure you are completely satisfied and delighted with the end result and that your job is delivered promptly, professionally, on time and budget. 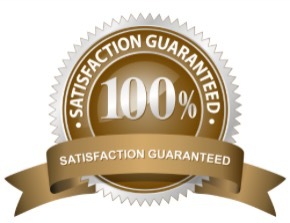 all our work is fully guaranteed! At Picasso Painting we strictly adhere to the WA Building Commissions' professional standard preparation and painting procedures to ensure the life of the paint and paint work on your home. We only use the highest quality premium paints and products to guarantee you get a long lasting professional paint job.